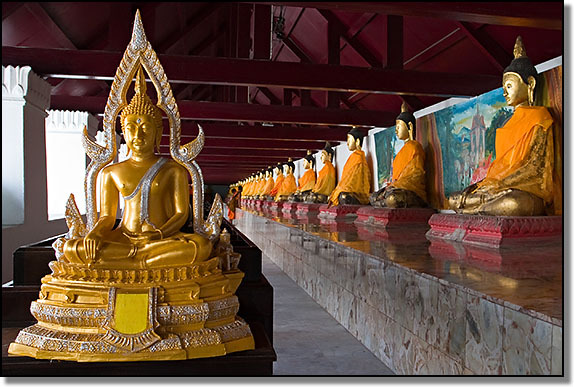 Naturally, you will expect to find Buddhist temples wherever you are in Thailand, and Hat Yai is no exception. The town is home to one of the largest reclining Buddhas in the world at Hat Yai Nai temple. If you've seen spectacular temples elsewhere in Thailand you may be a little disappointed with those in Hat Yai. Some temples in other parts of the country really do have a 'wow' factor, but I can't think of any here that will take your breath away. However, Hat Yai is a busy, commercial town and there are plenty of relaxing temples where you can seek refuge from the daily hustle and bustle of life for a while. Southern Thailand is different. In the deep southern provinces of Pattani, Yala and Narathiwat there are more mosques than temples. There are also significant populations of ethnic Chinese Thais, especially in Hat Yai. Chinese temples are quite different to Thai temples and many tend to be quite small. 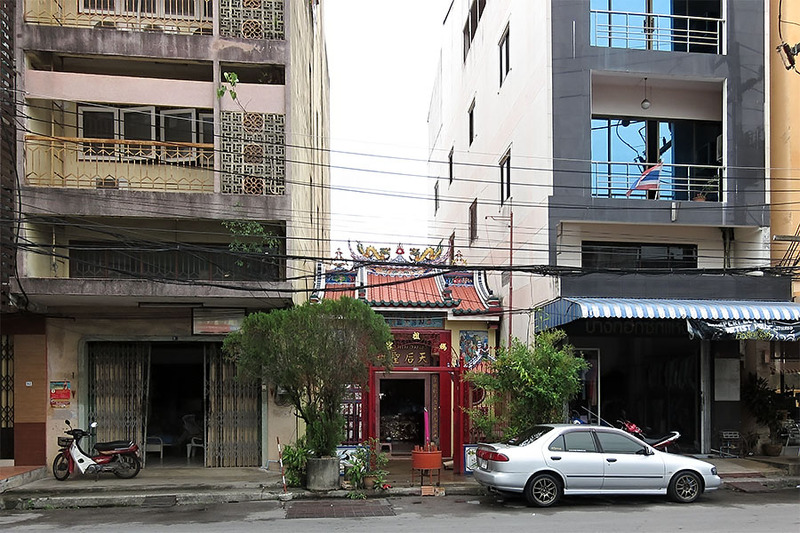 I find it interesting walking around Hat Yai to find tiny Chinese temples sandwiched in between hotels, shops and other buildings. As well as these tiny places of worship, there are also a few very large Chinese temples, such as Wat Cheo Chaang and Wat Taworn Woraaraam. 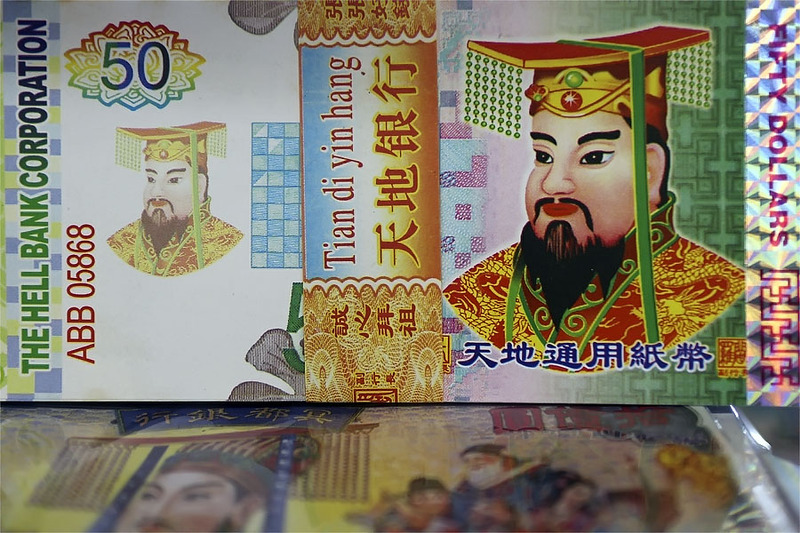 Ancestor worship is a large part of the Chinese belief system. For this reason you will often see small fires, or sometimes furnaces, outside the front of the temples. Regarding ancestor worship, you will also find many shops in Hat Yai selling material possessions made out of paper. These range from paper clothes and mobile phones to cars (expensive cars, of course) and detached houses with security guards standing outside. Sorry to disappoint you, but I object quite strongly to these 'Top Ten' or 'Best' lists for a number of reasons. The Internet is awash with such lists. Elsewhere on this site I have provided lists of good restaurants, cheap places to stay, expensive places to stay, etc. However, I don't use any superlatives. I don't say they are the 'best', 'cheapest', or 'most comfortable'. Firstly, unless you have visited every place in a certain location, how do you know that your list is the 'Best' or the 'Top Ten'? If you are just a tourist or a transient English teacher, you only have limited knowledge and you won't have enough time to visit every place and make a valid assessment. Secondly, your 'Best' or 'Top Ten' list is only your subjective opinion and, quite probably, other people will disagree. I will not be so arrogant as to list the 'Top Ten Temples' in Hat Yai because I am not qualified to do so, however, I can give you some recommendations based on my experience of living permanently in Hat Yai since 2003. Bodhisattva Kuan Im - the temples behind the municipal park are large, attractive and well maintained. They are located in a pleasant environment and from high on Kor Hong mountain you get good views of Hat Yai city. 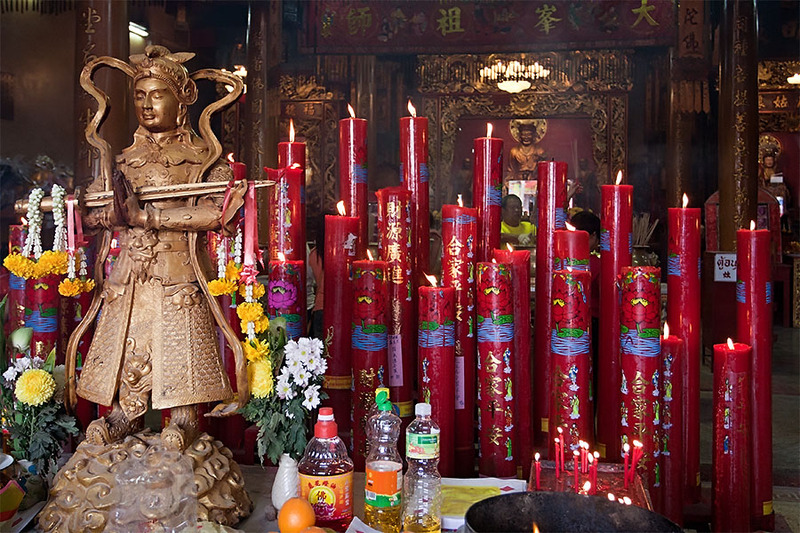 Cheo Chaang Temple - if you are staying in the downtown area this temple is easy to visit. It is very large and, despite building work starting in the 1990's, it still isn't finished. Unlike some other temples it doesn't have beautiful grounds, but the detail of the tile work inside the temple is impressive. From the outside it used to be quite ugly, but in recent years it has started to look a lot better. Goh Wat Temple - the actual temple isn't that attractive, but I really like the surrounding area. Many visitors to Hat Yai only visit the downtown area and come away with the impression that Hat Yai is ugly. It would probably surprise many people to discover that there are rice fields so close to Hat Yai airport. Klong Bplay Temple - this is an attractive temple and also very peaceful. It's a place I just like spending time at to relax. Klong Hair Pagoda - when I last visited this new temple it wasn't finished, but when it is finished I have a feeling it will be the most beautiful temple in Hat Yai. If you visit Klong Hair floating market don't forget to walk over to the temple to see how work is progressing. Mahapanya Vidayalai - this is a good place to take photos. It is now an International Buddhist University rather than a temple. The grounds are attractive, there are lots of fish, and if you climb the pagoda you get great views of Hat Yai. Plukkhla Temple - this is quite a long way out of Hat Yai and difficult to get to if you don't have your own transport. The temple is attractive and it is located in a very peaceful, rural setting. Prataat Jedi - it is always good to visit somewhere that is different to the normal convention and I guess that there can't be many stainless stell temples in Thailand. Taworn Woraaraam Temple - this is another large Chinese temple located in the downtown area. If you visit Cheo Chaang Temple, you might also want to visit this one. The two temples are within easy walking distance of one another. There isn't much of interest on the ground floor, but there are some interesting rooms upstairs and a pleasant roof garden. The temple even has its own elevator if you don't like climbing stairs. Banthathon Temple - many Malaysians and Singaporeans seem to have a fascination with this temple and whenever I drive past I see large tour buses in the car park. It is extremely ordinary. When I saw so many visitors I thought it must be worth visiting, but I was dissapointed. Hat Yai Nai Temple - when I first arrived in Hat Yai I was desperate to go to this temple because all the guide books and tourist literature mentioned it. Yes, there is a large reclining Buddha and a vaguely interesting little room under the Buddha, but whenever I take visitors here I can always sense a palpable air of disappointment. Bottle Temple (Wat Kuat) - it's a long drive from Hat Yai and when you get there it is a fairly disappointing experience. General - don't expect every temple in Thailand to be a beautiful work of art. Temples are there for a purpose in Thailand and many are not necessarily beautiful. That applies to many of the temples in Hat Yai. The following listings just give some basic information. Comments: I'm not an expert on Thai temple architecture, but to my knowledge this isn't technically a temple (wut). Fundamentally, this is because it doesn't have an ordination hall (pra ubosot). As you can tell from the sign outside, it is referred to as a 'tee puk song' (somewhere for monks to stay) rather than a temple (wut). It's not an official temple, there is very little there, and the temple site and surrounding areas are quite unattractive. Despite this, hordes of Malaysian tourists continually turn up in a procession of large tour buses. For some reason, this place has established itself on the main Malaysian tourist trail in Hat Yai along with Gim Yong market and the cashew nut shops. The site owners have cashed in on this phenomena and erected worship sites to cater for the foreign visitors. There is a Kuan Im statue for the Chinese Malaysians and various depictions of Hindu deities, such as Ganesha, for the Indian Malaysians. Sorry if I sound cynical, but when I visited this place for the first time I found it really tacky. It's located out of town near the large intersection on the way to the airport. As you leave Hat Yai via Hat Yai Nai, turn left for the airport, or right for this place. Comments: Bodhisattva Kuan Im is located on a hill just behind Hat Yai Municipal Park. From the park a winding road leads up to three separate shrines. They are all quite different and there are great views of the Hat Yai and the surrounding area from each. One has a huge, golden Buddha image, another is the Kuan Im Chinese temple, and the third is apparently devoted to elephants judging my the number of small and large pachyderm statues on display. There is also a very pleasant restaurant on the way up called Bon Khao. To get to Hat Yai Municipal Park is easy, as described above. However, getting up to the shrines from the park is trickier. On the first couple of occasions that I visited a kind Thai gave me a lift but this was purely by luck and is not the recommended approach. It is possible to hike up but its a long, steep climb and there is no shade from the intense sun. On one visit I tried to persuade a tuk-tuk driver to take me but he wouldn't go because he said his tuk-tuk couldn't make it up the hill. However, I have subsequently seen tuk-tuks taking groups of tourists to the top. If you have your own car or motorbike it isn't a problem. Other than that, one of the travel agents in Hat Yai should be able to help. This is one place that is not easy for independent travel without your own vehicle. The cable car runs between two of the temple sites. Comments: This temple is not in the immediate vicinity of Hat Yai but just over an hour away in Jana (normally transliterated as Chana) district. The temple is small and, to be honest, it is really just a novelty. It doesn't have any of the "Wow" factor that Wat Rong Khun in Chiang Rai has, for example. It's quite possible you could make the journey and then be disappointed. It's different to other temples but not that exciting. Even compared to somewhere like Bishop's Castle in Colorado, it isn't very exciting. The temple and outhouses - toilets and monk's quarters - have been built normally and then an outer layer of bottles has been cemented in place. The bottles are all very uniformly positioned. There is a big pond at the back where they breed catfish and you can buy fish food. The fish are monsters and appear in a swirling mass of hungry mouths whenever food is dropped into the water. I've been twice. The first time I took a Jana bound minivan and completed the journey by motorbike taxi. The second time I drove. The temple is actually quite well signposted from Hat Yai and I also had a Garmin GPS device to help me. Getting there the first time was a nightmare. I went with my Thai girlfriend of the time but we kept being given bad information. Our first inquiries resulted in us being told we needed to catch a sawng-thaew, not a minivan. Further inquiries revealed this information to be false. Next, we got the usual runaround about where to catch the minivan. One guy said here, another said there, and then we got sent back to where we were in the first place. A few opportunists tried telling us there were no minivans but it so happened their mate had a taxi and could take us there for Bt600 or something. A few shook their heads and reacted as if someone had asked them how to get to Mars or had asked, "Excuse me, do you know how I can turn this lump of lead into gold?" We were talking about a very well known place and these were people who work with minivans every day. It reminded me of my early days in Hat Yai when I didn't know how to get to places. I would get similar reactions but when I did find out how, they were easy places to get to. I just don't know why Thais make it all sound so difficult. Thais. They are wonderful people but hugely frustrating to deal with most of the time. Eventually we found what we were looking for. Directly beneath the clock tower at Hat Yai Plaza on Phetkasem Road, where the minivans leave regularly for Songkhla, there are also minivans that leave for a place called Nathawi. They are not as frequent as the ones to Songkhla and there is only about one an hour. The fare is Bt50 and the journey time is just under an hour. Make sure the driver knows where you want to go to and before getting to Nathawi he will drop you off on the main road. From there the only option is motorcycle taxi. The fare is Bt30 and our ride took about 25 minutes with the rider taking a short cut across an unmade road. If you need to get a minivan back to Hat Yai, they are infrequent - once an hour - and I believe they stop at around 5pm. There doesn't seem to be any fixed time and it's just a case of waiting for the next van so if you are unlucky and just miss one you are in for quite a long wait with nothing to do. For some reason the fare back was Bt5 more expensive. Of course, it would be easier just to arrange a car and driver from Hat Yai. On the second trip my wife was reluctant to go to Jana. Although it's a district within Songkhla province, it is quite close to Pattani and Jana has had a number of insurgency problems. Although there is always a risk, I consider the probability of anything happening as being quite low. I wouldn't have gone with my wife and child otherwise. Comments: At the time of writing (December 2011) there is a lot of building work going on at this temple. It should be quite attractive when it is all finished. The official name of the temple, as written above the main entrance, is Wat Mongkol Taypaaraam. However, everyone knows it as Wat Bpaak Naam (Rivermouth Temple). It's a tranquil place and I often spend time with the temple animals when I feel I need some peace and quiet. As is the case with all temples in Thailand, there are lots of cats and dogs in the temple grounds, as well as chickens and maybe other creatures. The temple is very active and gets a lot of visitors on Buddhist holidays, for example, Wun Maakaboocha and Wun Wisaakaboocha. This is a good temple to visit on those days. Comments: Work on Cheo Chaang Temple had already begun when I first visited Hat Yai in 2002, and in 2018 it still isn't completed. It is a huge temple and its construction is funded by donations. It started life as a concrete shell and when there is enough money in the donation box some more work is carried out. Its size and the way the construction is funded are the reasons why it has taken so long to build. The whole building is covered with ornate porcelain tiles, which are fired in local kilns. There are hundreds of thousands of individual tiles and they are worth studying in detail. When the temple is eventually finished it should look quite spectacular. Despite not being finished, it is a working temple and I often hear music or chanting coming from inside as I walk past, indicating that some kind of an event is taking place. It is located at the intersection of Saengchan and Supasarnrangsan roads, near Gim Yong market. I have been taking photos of this temple for years and have documented a photographic record of its construction. Comments: I really like spending time at this temple and also in the surrounding area. It's an area where there are rice fields, brightly coloured Kingfishers and flocks of white egrets. The temple is close to Hat Yai airport, but it's like being hundreds of miles away from busy, congested, ugly Hat Yai. The temple grounds are spacious, well maintained, and relaxing. The rong tum (Dharma) building is quite new and the new building replaced an old wooden structure in another part of the grounds. I imagine that the new building will be very attractive eventually, but currently the walls are bare as it hasn't been decorated yet. A resident monk was telling me how time-consuming and costly the work is to do. Comments: This temple is home to a large reclining Buddha image, and this fact makes it a popular tourist stop. When I first visited Hat Yai in 2002 and stayed in a hotel downtown, I did the same excursion. I don't know what tuk-tuk drivers try to charge tourists these days, but there are plenty of sawng-thaews going out past the temple and the fare is a standard Bt10 or Bt20. It's a fairly easy journey by sawng-thaew although it will help if you can speak and read a little Thai. Sawng-thaews exit Hat Yai over the railway bridge then go past the police station to Hat Yai Nai (Map 3). The best place to board one is on Phetkasem Road on the other side of the road to the clock tower. Ignore tuk-tuk drivers around the train station and Thamnoon Vithee Road who want Bt100 or more to take you there. The following information about the reclining Buddha is posted at the temple. The grammar isn't mine. Praputthamahattamongkol was named by King Rama 9 (Bhumiphol) on 2nd August 1976 and performed the foundation stone ceremony and was built on 29th August 1972. Mom Chao Thongkhampleo Thongyai who is Songkhla provincial governor is the chairman in ceremony. Statue of the Buddha is 35 metres long. It is high from ground to the top of radiance emanating from the Buddha's head 15 metres. Perform ceremony to found the radiance emenating from the Buddha's head, heart, chest .... Songkhla, Narathiwat, Pattalung, provincial governors and Hat Yai mayor are the chairmen on 12th May 1974. King Bhumiphol and Queen Sirikit and 2 princesses came to perform ceremony "Raise radiance emenating from the Buddha's head" on 2nd September 1976. Somdet Prasangkarat Sakolmahasangkhaparinayok came to visit and perform the stone inscription at the nape of the neck of Praputthamahattamongkol on 30th March 1977. Prince Wachiralongkorn and his wife came to perform the foundation stone ceremony amd managed to build Praputthamahattamongkol Buddhist assembly hall on ?th July 1977. Prawisutthiwongsacharn who is the provincial monk came to perform chor phar ceremony of Praputthamahattamongkol on 24th June 1986. The first name of this temple is "Hat Yai Nai Temple" no. 134, Hat Yai District, Songkhla Province. It is established to be Buddhist monk house in 1945. It is declared to be temple in law on 18th June 1947. Registration no. Sor Khor 0251 and it received Wisungkamasima on 15th May 1954. Prince Wachiralongkorn supported this temple by himself and named new name "Mahattamangkalaram Temple" and permitted the temple to found his short name "Mor Wor.Kor." at arbor of door on 3rd October 1977. Total areas of this temple are 22 rai 1 ngarn 86m². From 1997 until now, there are monks no less than 80-90 monks to stay here every year. This temple has Dharma to be studied school, Dharma scholar department and Pali department. It's started opening since 1946. Within the temple grounds there is also a Tessabaan (municipality) school - Tessabaan 5 School. Underneath the reclining Buddha is a mausoleum. This consists of a room with lots of lockers around the walls in which are interred the remains of deceased people. On the outside may be some details of the deceased and a photograph. There is a also a fortune telling machine where you put a coin in and it spins a wheel to give you a number. There are slots on the side of the machine that are numbered and have pieces of paper inside with fortunes written on them. Take one of these out from the slot that corresponds with the number that came up on the wheel (if there are any left). The reclining Buddha image is known as 'Phra Buddha Hattha Mongkol'. It is 35 meters long, 15 meters high and 10 meters wide. Comments: This temple can't be seen from the road but there is a sign on the road. As you are driving on the airport road towards the airport, turn left just after the Palm Springs housing development. It's an unusual place. It is only a couple of hundred yards from a very busy road in a very busy town but once you get to the temple it is like being miles from anywhere. The temple appears to be in the middle of a forest. It doesn't look at all like a normal Thai temple and in fact the emphasis is on Buddhist education more than anything else. There are lots of novice monks (nane) in residence and a total population of about 150 people. The monks and novices live in small wooden huts scattered among the trees. At the back of the complex is a body of water which makes for quite a relaxing spot. Every Thai temple has lots of temple dogs (maa wut), but this one has more than most. The dogs get used to the people who live there but don't take kindly to strangers. They don't bite but they bark and howl when strangers arrive. It's quite annoying. Mosquitoes represent another annoyance. With so much vegetation there is a huge population of mosquitoes. Even if you go in the daytime there are lots. If you go at dusk or dawn expect to be seriously bitten. If you are interested in temple architecture, don't bother. If you want to meet and speak with monks it could be a good place to visit. All Thai temples seem to have an official name and a nickname (just like Thai people). The sign inside the temple says it is called Sidtaaraam Temple, but the sign outside on the main road refers to it as Somdet temple. Comments: Just like Hat Yai Nai temple, this temple occupies a large area of land and it is home to a Tessabaan school - Tessabaan 3 School. I don't know when the temple was founded but it looks to have been around for a very long time. It was probably in existence when the whole of Hat Yai was no more than a small, provincial village. There are new buildings in the temple complex, but the old ones still remain and they look really old. It's quite an interesting place to look around and if you are there at the same time as the schoolkids, you are bound to receive some attention from cheeky, teenage Thai boys. Comments: This temple isn't in Hat Yai, but it is well known to visitors from Malaysia because it is on the main road between Hat Yai and the Dannok border crossing. It is actually in the Sadao district of Songkhla province in a sub-district called Bprik. The temple is quite large and attractive, and it certainly catches your eye when you drive past. Comments: I keep thinking that somewhere in Hat Yai there must be a really beautiful and/or interesting temple and that some day I will find it. The entrance to this temple on the old road to Songkhla looked promising - a little like the entrances to the old temples on the road between Songkhla and Nakorn Sri Thammarat. However, inside there is virtually nothing and once again I left feeling a little disappointed. Comments: This is an attractive, peaceful and relaxing temple. I was first introduced to it many years ago when I was invited to observe a friend's son being ordained as a monk. It's in a road opposite the municipal park and there is a 7-Eleven on the corner. If the pace of life is too frantic and you feel stressed from all the noise and traffic in Hat Yai, this is the ideal place to get away from everything for a while. The temple also appears to run a radio station - Dhama Radio - which broadcasts on 106.75 MHz. Comments: Lots of Burmese and ethnic Mon work in Thailand (mainly doing construction), and local foreign workers in Songkhla province raised the money to build this temple, which is a replica of the famous Shwedagon Pagoda in Rangoon. I heard that it would be finished in October 2015, but when I went to take a look in December 2015 it was still a long way from being finished. However, in its unfinished state it was still impressive and when it is eventually finished I predict that it will probably be the most beautiful temple in the Hat Yai area. It is located in the Klong Hair temple complex, very close to the Klong Hair floating market. The floating market attracts a lot of tourists and once the temple is finished I suspect that the temple will become a natural stop for tourists. I've called it the 'Klong Hair Pagoda', but I'm not sure what the official name will be. I saw a sign in Thai that said 'Ma-haa-buun Jedi'. Comments: This temple looks quite attractive from the outside. There are some pleasant planted areas enclosed with railings on the pavement at the front of the temple. Inside it is a little less impressive. The temple complex is huge, covering several rai, and much of it is unused. With land prices getting very expensive in Hat Yai the land must be worth a fortune, but hopefully its temple status will provide protection from greedy developers. As with most other temples, there are monks in residence. They live in simple accommodation inside the temple grounds and can be seen doing various jobs around the place. At one time in Thailand not so long ago, schools and temples were synonymous. The only schools in the country were temple schools. That is no longer the case, but schools can still be found in temple grounds. Most of the local government (Tessabaan) schools are associated with temples. Tessabaan school number 4 is associated with this one. If you were hoping to see the kind of fabulous, gliterring temple you've seen in guide books or elsewhere in Thailand you may be a little disappointed. 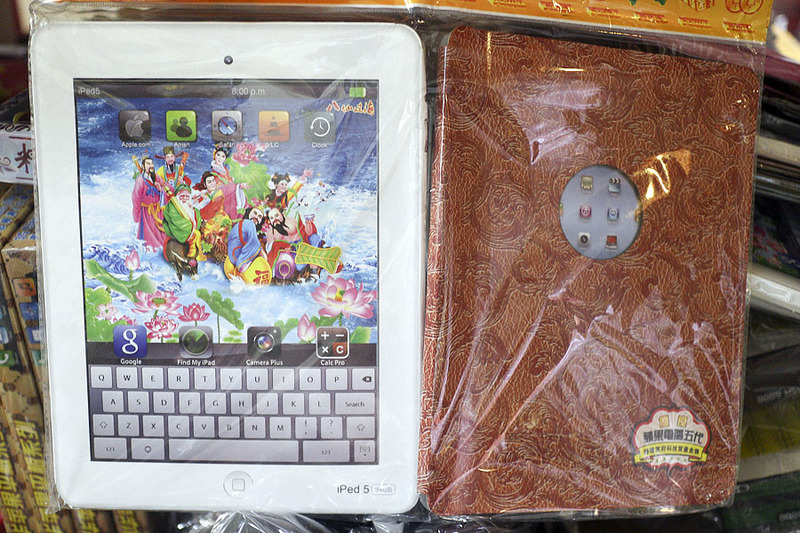 All the essentials of a Thai temple are here, but it's hardly impressive. Possibly the most impressive feature of the entire complex is a traditional Thai style teak house which is located at the back of the temple grounds. I don't know what it's used for, or whether anyone lives inside, but it's very attractive. This temple, of course, includes the usual menagerie of dogs, cats and chickens that can be found in every temple in the country. There are animals everywhere and actually some of the cats and dogs are very cute. One very friendly ginger tom cat really wanted to go home with me and I was quite tempted to take him. Incidentally, if you do decide to adopt a temple animal you are doing both the animal and the temple a service. There are some wonderful animals living in temples that deserve better homes. The monks put food out for them but many just crave a little affection. Comments: This temple occupies several rai of land. The Prince of Songkla Hospital (Mor Or) attends to the needs of all southern Thais, some of whom are quite poor and live in remote rural areas. If these people need to stay at the hospital it can be quite expensive for their relatives to be close to them if they have to stay in Hat Yai. Within the grounds of Koke Naaw temple is cheap accommodation which has been provided specifically to meet the needs of these people. To stay there for a night only costs them a few Baht. Comments: The main temple building is quite attractive, if a little run down. The rest of the temple grounds are neglected and not particularly attractive. This location also seems to be the lowest point in Hat Yai. It was flooded in 2005 when the rest of Hat Yai stayed dry. In 2010 when many parts of Hat Yai suffered a two metre flood, the flooding here was three metres. Comments: One of Hat Yai's many Chinese temples, this one is dedicated to the Chinese Goddess of Mercy. It is small, but very clean and very well kept. As you walk along Chee Uthit Road going towards Srinakorn School, you will pass the Hat Yai Hakka Association on the left. The temple is a little further on, also on the left. Comments: This temple used to be known as Wat Thaawon. Its name has changed and so has its function. It is now primarily an international Buddhist university. In my opinion, this is one of the most interesting religious buildings in Hat Yai and also one of the most photogenic. There has been a lot of work done on it in the past few years and the results are beginning to show. If you enjoy photography this is a good place to visit. Next to the temple is a cemetery with lots of statues in which are interred the remains of deceased people. The temple grounds are attractively laid out and maintained. A few years ago a huge 9-storey Chinese pagoda was erected. I was told that it cost Bt100 million to build. It is possible to walk to the top where you can ring the huge bell and get great views of Hat Yai. Sunset is a good time to go but tell someone you are going up, otherwise they might lock the door when you are inside. There is no lift and the walk up several flights of steep stairs in not very suitable for the aged or infirm. Regarding the university, there are students from many Asian countries studying for Bachelor's Degrees in Buddhism and the course takes three-and-a-half years. The language of instruction is English. I was told a few years ago that the university has a requirement for English teachers so if you are looking for a teaching job in Hat Yai this could be an interesting place to work. The abbot is Thai but he studied Buddhism in Taiwan and now lives in the United States. He returns to Thailand two or three times a year. Thai Buddhism follows the Theravada tradition, but the Buddhism taught at the university is Vietnamese Mahayana Buddhism. I had previously thought this was a Chinese temple, but I was wrong. Quite a few of the monks studying at the university speak very good English and enjoy chatting with visitors. They come from all over and often have interesting stories to tell. The temple is located next to Tesco Lotus in the vicinity of the Prince of Songkla university and hospital (known locally as Mor Or). It is easy to locate because the huge gold coloured Buddha image (shown in the photos) and the pagoda can be seen for quite some distance. Comments: Bangkok has some magnificent temples, Ayuthaya and Sukothai have ancient temples, Chiang Rai has Wat Rong Khun, and other parts of the country lay claim to beautiful or historically significant temples. Compared to other places in Thailand, Hat Yai isn't really in the same league. The temple at Hat Yai Nai has one of the largest reclining Buddhas in the world but apart from that it is quite ordinary. There are a few temples in the area that are attractive but not really spectacular. One of the most attractive temples I have visited in the area is a little way out of town in the direction of the airport. On the way to the airport you will see signs for the airforce base. If you take this road (turn left) you will come to a fork after a few kilometres. Take the left fork and after a further couple of kilometres you will see Plukkhla Temple (which houses Buddha Lapah Damrong) on your right. Comments: Behind the university is what is referred to as Ko Hong Mountain, but it's really just a range of hills. This is the highest elevation in Hat Yai and you will see lots of TV and radio transmitters. Being a Buddhist country, you will also see what looks like a temple. It's not actually a temple and there are no monks in residence. However, it's an interesting place. The jedi structure looks to be made entirely of stainless steel. This must have been quite expensive to construct. There are several small rooms inside all linked together with circular passageways and decorated with Buddha images and Buddhist art. I have never seen anything else like this anywhere in Thailand. Someone told me a long time ago that the view overlooking Hat Yai was very good but I couldn't have found the right vantage point because I didn't get much of a view. Apart from general sightseers, some people go up to the jedi to meditate in little tents to protect themselves from mosquitos. To get there you need to head down Bpunagun Road (the road that runs alongside the university) and turn left when you see a sign with a picture of the jedi. A poorly maintained road will take you to the top of the hill; a journey of about 2.5km. You can walk - lots of people do - but it's a tough walk. I'm not sure if a tuk-tuk has enough power to make the ascent so you will need to ask the driver. A motorbike will be OK if you are a fairly confident rider. There is no entrance charge. Comments: This is a typical small Chinese Hat Yai temple. The majority of Thai residents in Hat Yai are ethnic Chinese and so are most visitors from Malaysia and Singapore. They're quite interesting to look around and visitors are always welcome. Comments: As you can see, many temples in Hat Yai are Chinese. This is because many Hat Yai residents are ethnic Chinese, as are many of the visitors from Malaysia and Singapore. Some of these temples are tiny, and some are huge. This is one of the huge ones. The architectural style and symbolism are different to that of Thai Buddhist temples, and they have the associated imagery that you would expect in Chinese temples. Whereas Cheo Chaang temple is still being built, this temple is finished. It takes a huge amount of money and time to complete a temple like this and the temple is very impressive. It is also very well maintained.